Because we book by appointment ONLY there are times, occasionally, we may not be in the studio during normal Mall hours! If popping by late in the evening please call ahead of time to ensure we are there for you. Bellyssimo is proud to offer clients an experience like no other. 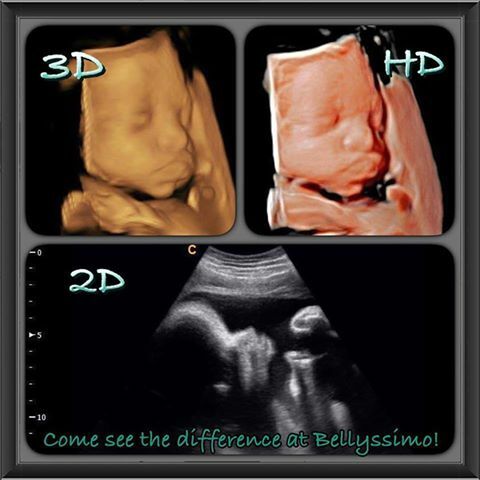 Founded in 2009 Bellyssimo offers 2D/3D/4D/HD Ultrasound Services to all of South Jersey and the surrounding areas including Delaware and the Philly area. Bellyssimo continues to be family owned and operated and staffed with some of the most amazing MOM's that you will ever meet. We are always growing and expanding to meet the ever changing needs of our clients, so don't be surprised to see new specials, products or fun events. We are dedicated to giving you an unbelievable bonding experience with you baby! Thank you so much the time you spent with me and the family (ALL OF THEM LOL) Saturday!!! You guys are the BEST!!! Can't wait until the next appointment!!! Can never thank Mandi enough! We love the time you gave us with our precious baby boy! Thanks again! You did such a great job last year with my triplets!